Making solar power easy and accessible for everyone. SunSaluter is a 501(c)3 non-profit organization dedicated to improving energy and water access in the developing world through our SunSaluter technology. Get 30% more energy and filtered water with our revolutionary solar trackers. 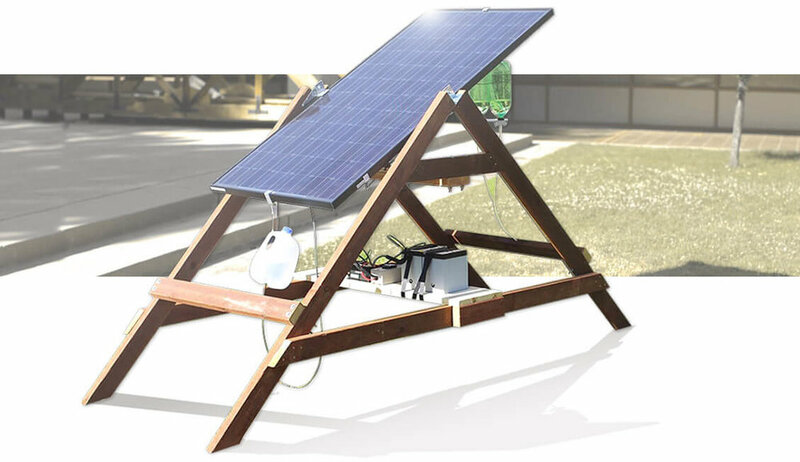 The SunSaluter is a solar panel rotator designed for the developing world. 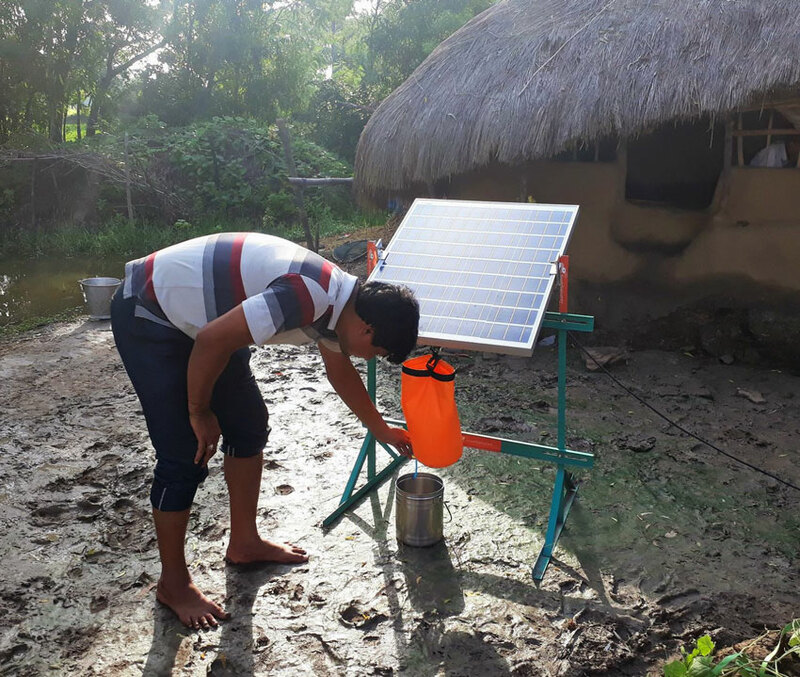 Using only the power of gravity with a water clock, the SunSaluter enables a solar panel to passively follow the sun throughout the day, boosting energy output by 30% and producing four liters of clean drinking water. It is 30 times less expensive than conventional motorized solar panel rotators, much more reliable, and consumes no electricity itself. SunSaluters have been deployed all around the world, boosting solar panel output by 30%, so fewer solar panels are needed and overall system costs are reduced by 10-20%. By lowering the cost of solar energy, the SunSaluter help impoverished families eliminate the use of kerosene gas, work and study longer hours, and charge cell phones. Furthermore, the SunSaluter enables solar panels to produce energy more consistently through the day, beginning earlier in the morning and lasting later at night. This is critical for rural families who often wake at sunrise, and helps reduce the need for batteries to store energy that is normally produced mostly around high noon. Learn more about the ways that solar and SunSaluter are changing the lives of users all around the world. Help us bring effective electricity to those in need. Donate to SunSaluter. With your contribution, we can continue to execute our organization’s vision of creating opportunities to empower local innovators with our SunSaluter technology all around the world. Our efforts to spread SunSaluter to 19 countries and counting would not be possible without your generosity.